Beach camping is an annual tradition for our family. 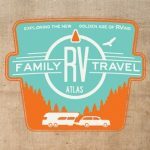 Our very first RV trip was to the Outer Banks in North Carolina and we’ve returned to those same beautiful beaches many times over the past six years. Although we love hiking in the mountains and kayaking on lakes, there is something about sun, waves and sand that relaxes and rejuvenates us more than anything else. The key to enjoying a great beach camping getaway is preparing for the elements. If you don’t have the right gear, sand, water, sun and wind can ruin your camping experience. This beach camping guide will ensure that you enjoy paradise when you park your RV at the shore. Pack separate beach and bath towels to help keep sand out of the RV; hang up beach towels outside and bath towels inside. Invest in a nice outdoor rug and broom; sweep the rug off daily. Keep a small tub of water by the door to rinse feet before coming inside and don’t allow shoes in the RV. Use the outdoor shower; if your RV doesn’t have one, bring a splitter and attach an extra hose to the water spigot at your campsite for a quick rinse off. Bring separate beach and camping chairs (Once you are showered and changed, you’ll want to sit around the fire without getting sandy again). Always pack at least two swimsuits (No one likes putting on a wet suit for an afternoon swim). Make sure you pack a clothesline to hang up those wet bathing suits and towels (We adore the ones that attach to the RV). Invest in quality rash guards that will protect you from the sun. Pack an inflatable baby pool if you have younger children (Splashing in a baby pool on the beach will keep them happy for hours if the surf is too rough or the water too cold). Sunscreen is typically more affordable when you buy it at home rather than in an expensive tourist shop–make sure you get a water-resistant, high SPF. Make sure everyone in the family has comfortable, breathable hats that can be worn all day. Invest in a pop up shade room that will offer shelter from the sun while still allowing you to enjoy the view and the breezes. Bring an umbrella or two for shaded breaks while hanging out on the beach. Never leave your RV awning extended while camping at the beach (We’ve seen many RVs lose their awnings in a single, sudden gust of wind). Pin everything down; stake those outdoor carpets; clip on the tablecloth; put the napkins in a caddy. Bring beach umbrella anchors (they’re an inexpensive way to ensure you don’t end up chasing your umbrella down the shoreline). We definitely pack a lot more gear when we are heading out on a beach camping adventure and even a little bit extra RV insurance to stay protected. If you’re a first-timer, take a quick look at your RV coverages and look specifically for vacation liability insurance. This protects you from injuries that happen around the area where your RV is parked. It’s an extra step, but we find that being prepared means we enjoy our time in the sun. Once you have your base camp set up, there is only one other item you will need–an ice cold drink with an umbrella in it.